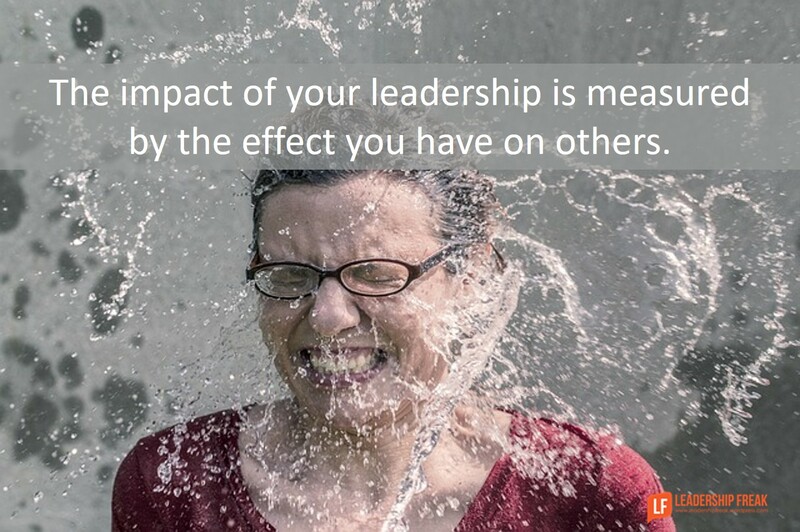 The impact of your leadership is measured by the effect you have on others. You always impact those around you. Even if people turn from you, you have impact. Some leaders tend to lift people toward bright. Some leaders tend to drag people toward dark. Patterns produce splash – your impact on those around you. Successful leaders monitor and manage the impact of their presence and interactions. Know the effect of your current impact in order to enhance your impact. I recently asked a leader to explore his impact on others. “On a scale of one to five, my interactions with you tend to increase your energy.” One is low. Five is high. Try to avoid a three. Which way does the needle tip? Have your survey-master compile the results. 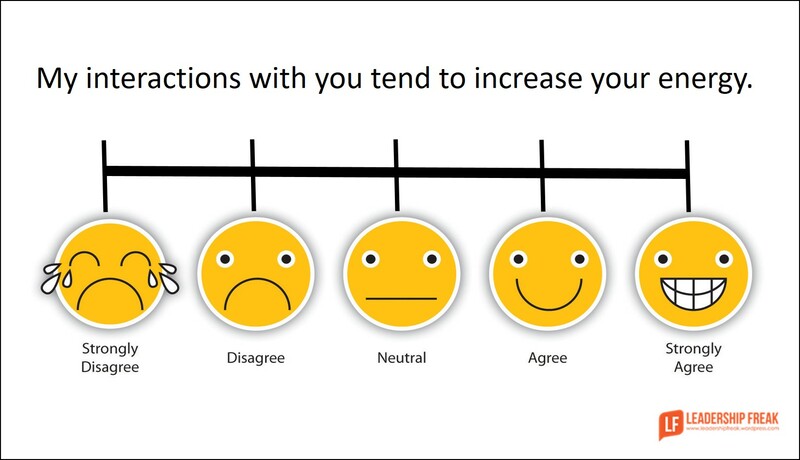 What behaviors produce the result on the energy survey? What should you do more frequently? Talk over your observations with trusted allies. What suggestions do you have that might improve the energy survey? How do leaders ignite and fuel positive energy?